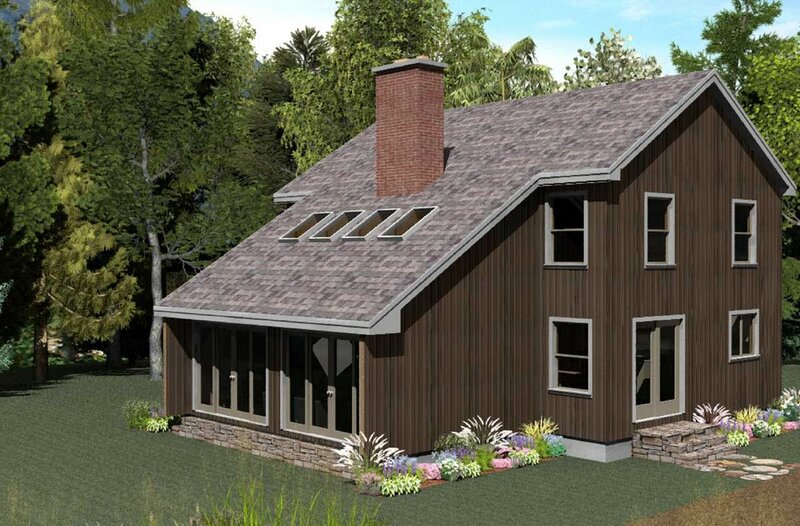 The Passive Solar home is typically oriented to the south, capturing additional solar heat in the winter. 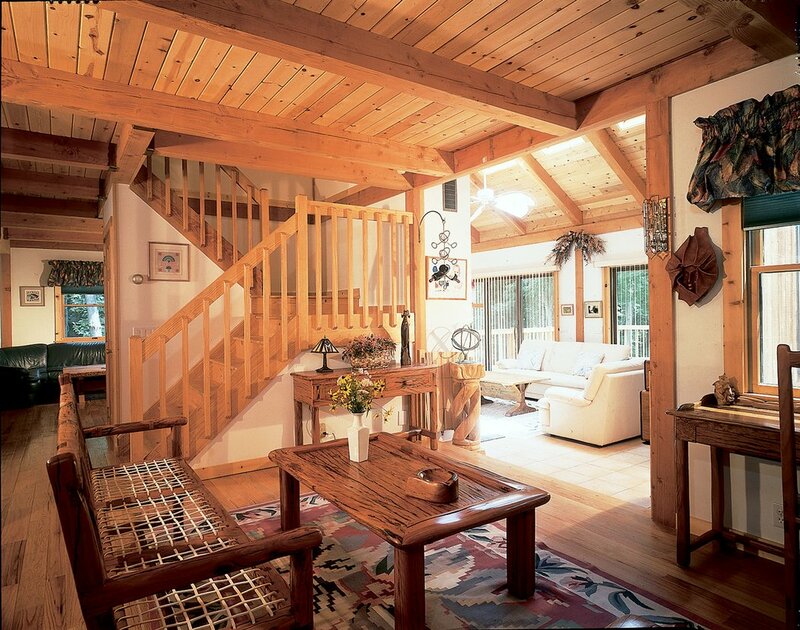 The light-filled rooms are bright and cheerful, enhancing the beauty of the post and beam interior. 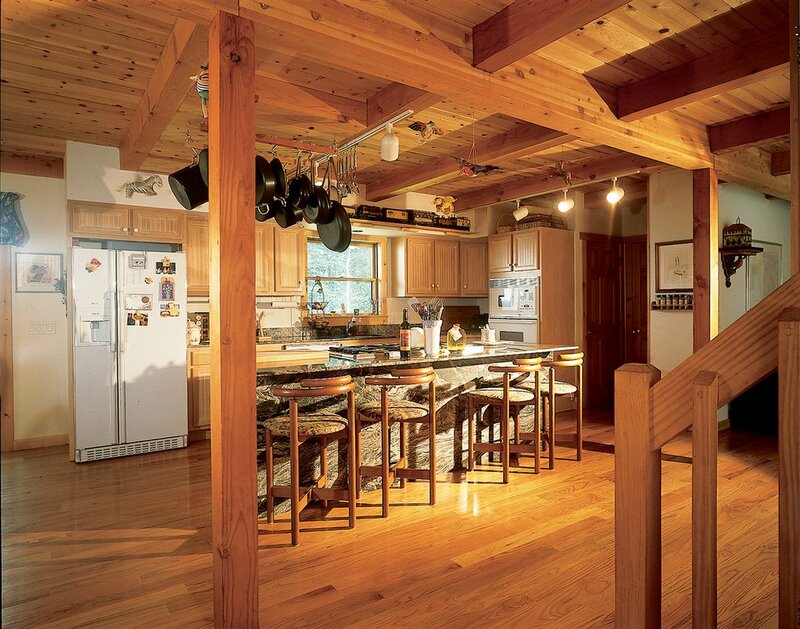 An open floor plan creates versatile living areas. 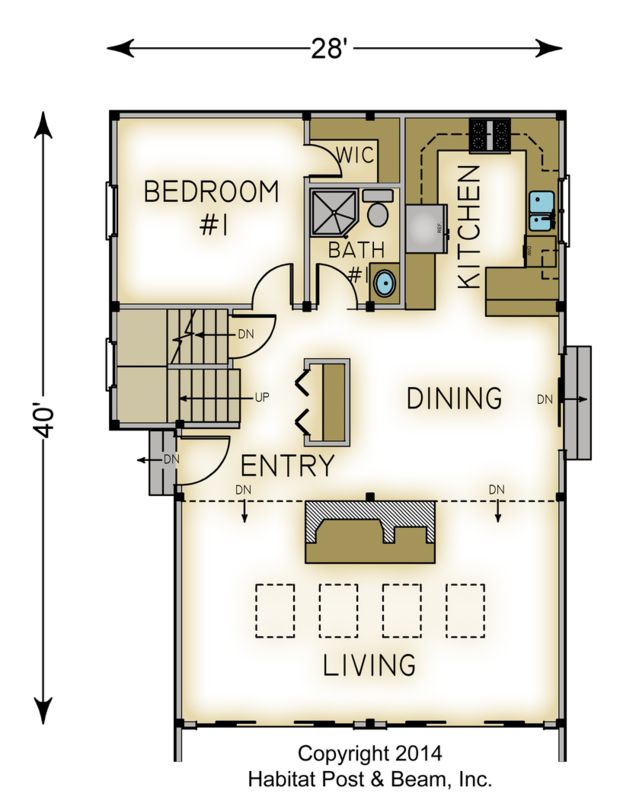 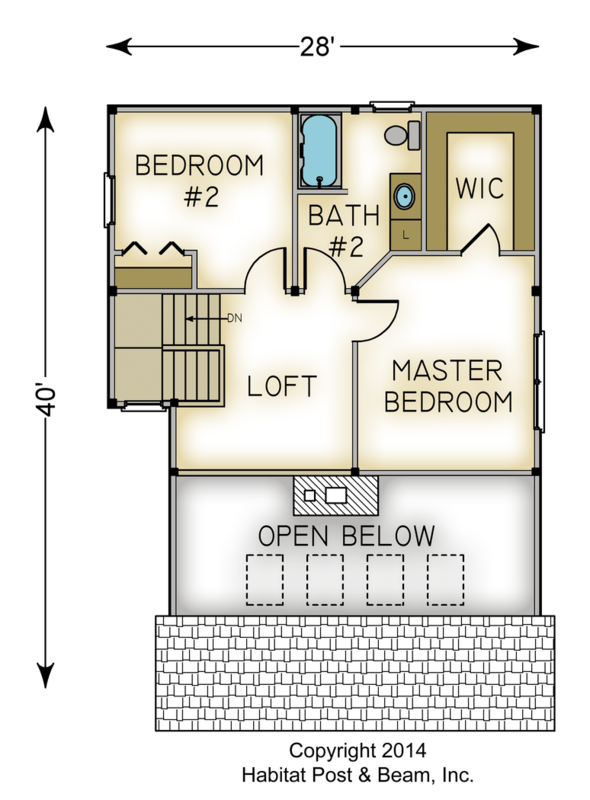 Package Price: $117,182 as specified below (from $110,422 to $136,594 depending on framing options). 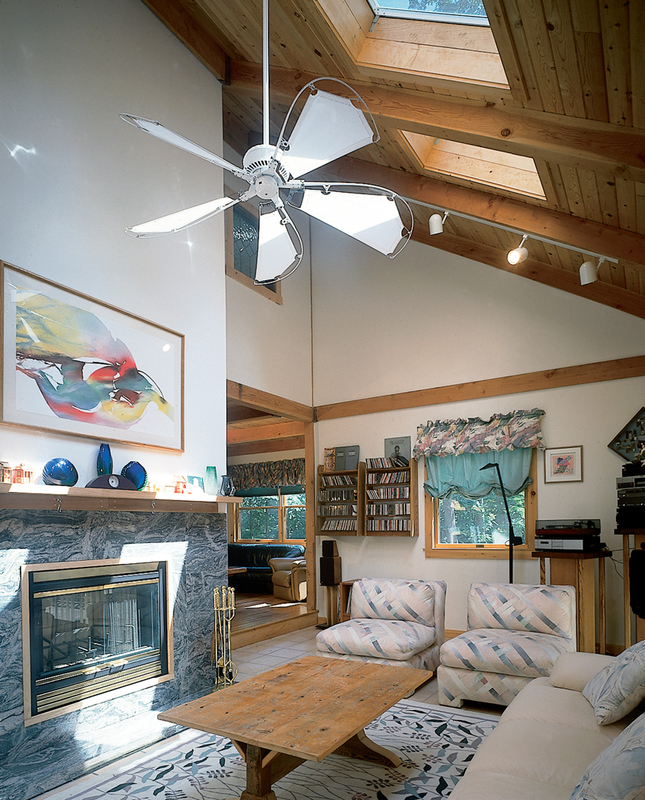 The standard price includes our Beamed Wall System, Plaster and Beam or Beamed Mid-Floor System (same package price), our Beamed Roof System over the living area, and our Plaster and Accent Beam Roof System over the upper level.